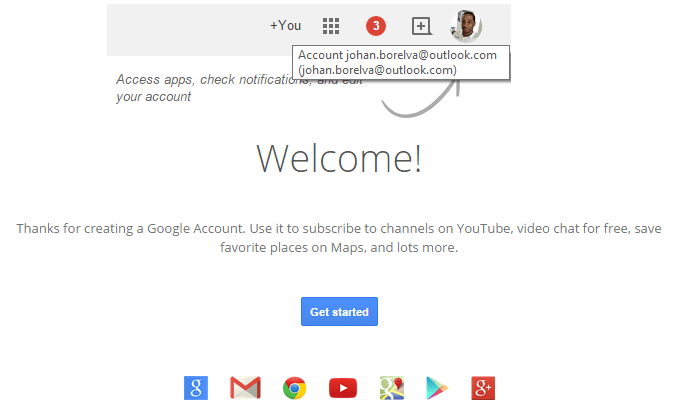 If you want to use any google service which requires a google account, you can do it with your current email address, even if it is not a Google account. You can still use it, by linking it with a fresh new google account. You will be asked to add your name, your current email address and to create a password. 2. Once you filled the needed information, Google sends you an email to your current email address to verify and link it to the Google account you just created. 3 . Get the message in your current email address box and activate your account. 4. 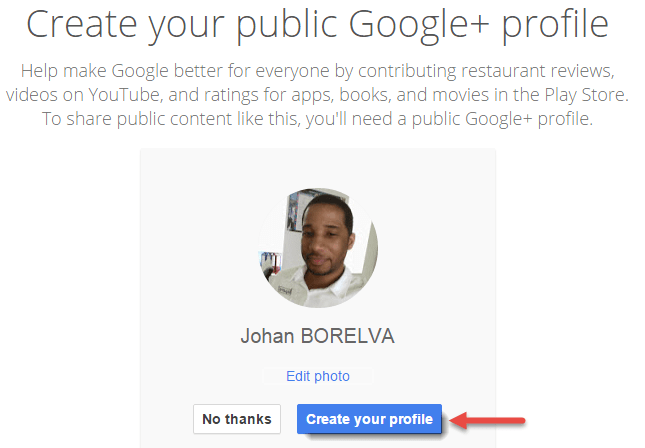 Then, you will be invited to create a Google + profile. Click “create your profile” if you want to do it now (it’s very Quick) or “no thanks” to do it later. In this example, I created mine. 5. You’re done. 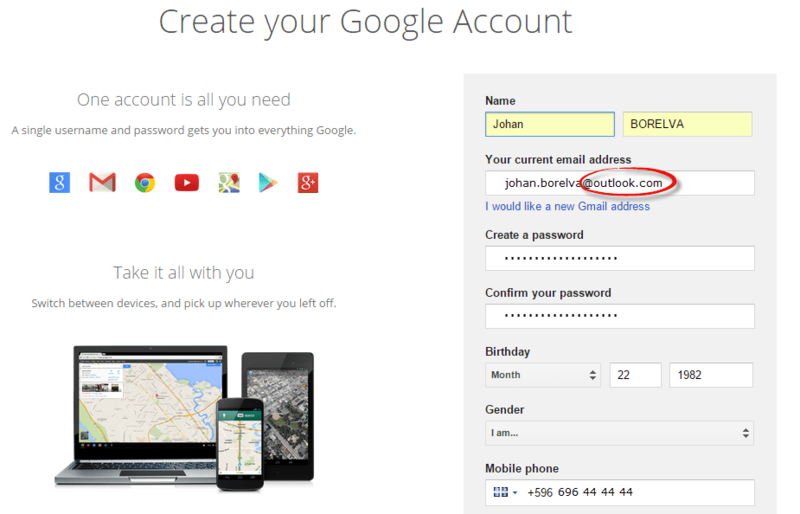 you created a Google account with your current email address. Let us know if this artcile was useful to you. Feel free to share more tips in the comments about this subject.